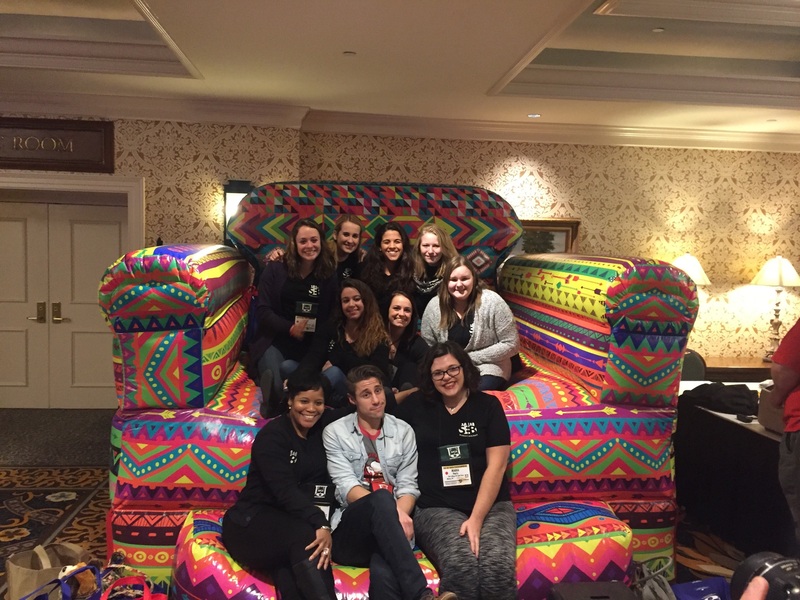 APCA, Baby! – Making Leadership Development Fun! If you know me, you know that I have dedicated the past four semesters of my college career to the Student Events Board. Now, halfway through my term as Vice President, I am so proud to say that I have had multiple opportunities to grow into the leader that I am. One of these opportunities took place this past weekend, when my Executive Board, advisor, and I traveled to Hershey, PA for a Campus Activities Planning Conference through APCA; the Association for the Promotion of Campus Activities. This three-day conference was jam packed with live performances, educational sessions, and networking with students and advisors all working to plan activities similar to those we host at Saint Rose. The performance showcases gave us the opportunity to discover musical artists, comedians, and mentalists like Kristen Merlin, Adam Grabowski, and Fly By Midnight that we can bring to our campus. Who knows, someone coming to Saint Rose soon might wind up being the next Taylor Swift! In addition to performance showcases, we were able to pick from multiple different educational sessions to attend, ranging in topics from basic event planning, advertisement, diversity, and getting students involved and excited about your events. This was a great chance to meet students from other colleges and get to know how they run events on their campuses, what works and doesn’t, and bounce ideas off each other. Exchanging ideas led to exchanging email addresses, and now I have connections from Virginia to Pennsylvania of campus leaders with similar positions! The SEB E-Board with comedian Adam Grabowski! So, Saint Rose students, how does this help you? Well, let me tell you! First, if you are a student who is incredibly involved on campus or a first-year student who is looking for the right club to join, my first piece of advice is to find some sort of meeting, workshop, website, whatever it is that is going to help YOU develop into the leader you want to become. I not only learned a lot about event planning and leadership development, but also about where I fit into that mess! My second piece of advice is that if you see a leadership opportunity available for you on campus, go for it! Don’t be apprehensive and let fear get in the way of an awesome experience. You will never know where doors will open up to you because of transferable skills gained as a student leader. Have you attended some awesome leadership or professional development opportunities that you’d like others to know about? Share them below!